How to Say I Love You in Italian. 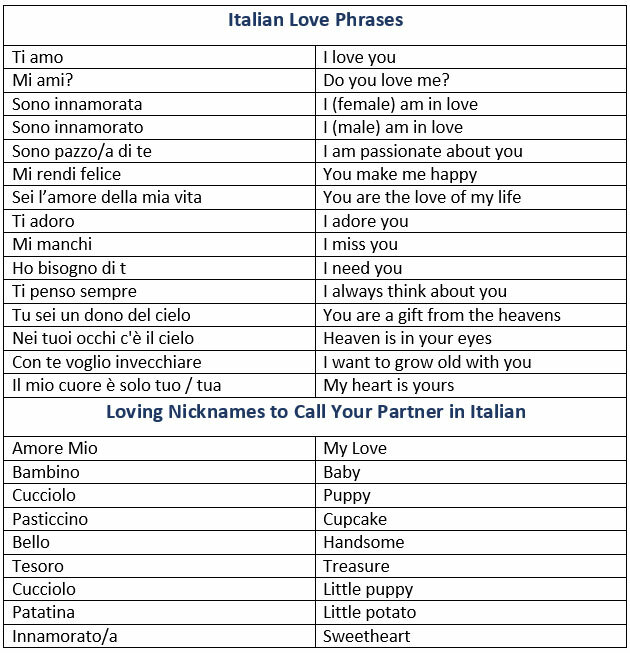 Italian Love Phrases. Loving Nicknames to Call Your Partner in Italian.